The Satanic Temple has officially filed a letter with the state of Arkansas, requesting that the group be allowed to place a controversial statue of Baphomet alongside a monument of the Ten Commandments on the Capitol grounds in Little Rock. The New-York-based religious group sent the letter via certified mail to the Arkansas Capitol Arts and Grounds Commission, asking permission to bring the large icon to the building’s grounds. Baphomet is a pagan idol originally linked to the Knights Templar, but is now more associated with an image of a "Sabbatic Goat" drawn by Eliphas Levi in 1856. It depicts Satan as a goat-headed figure with horns, hooves, wings and a beard, and has binary elements representing the "sum total of the universe," similar to yin and yang. The petition is in response to an Arkansas law that allows a privately funded Ten Commandments monument to be erected on the Capitol grounds. “Can’t wait to see Arkansas officials squirm as they decide whether to include atheist and Satanist displays on Capitol grounds or say no and risk a lawsuit,” blogger Hemant Mehta wrote on the Friendly Atheist about the expected upcoming debate over the statue. Governor Asa Hutchinson (R-Arkansas) has already come out against both the Satanic Temple and a Hindu group whose petition for a monument of its own has already been rejected. “We don't want just every group putting a statue on the capitol grounds. We want it to be exclusive; we want it to be reasoned. We want it to be reflective,” Hutchinson told reporters in July. “We think that any one religious monument is intolerable because it gives the impression that a single viewpoint is co-opted the power of the government,” Lucien Greaves of the Satanic Temple told KATV in response to Hutchinson’s remarks. However, the Satanic Temple argued that the law must open up the Capitol grounds to private donations, and thus the state “cannot engage in viewpoint discrimination and must reasonably allow for other donations of a similar nature,” the group said in a press release. Meanwhile, Arkansas has already rejected another religious group’s petition for a monument of its own. 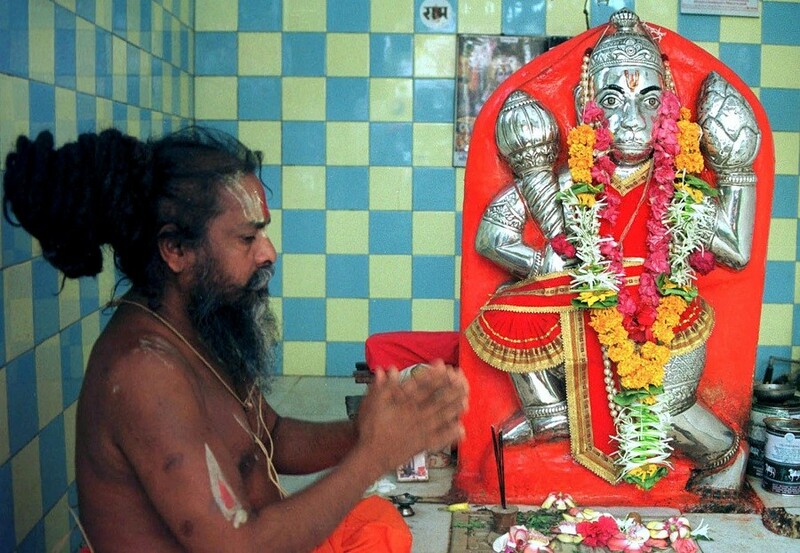 In August, the secretary of state’s office denied a Universal Society of Hinduism request to place a privately funded statue of the Hindu Lord Hanuman, a god known for his strength and correct grammar, on the Capitol grounds. The society was told in a rejection letter written by Kelly Boyd, the chief deputy secretary of state, that it needs to take its case to the General Assembly for approval or to submit an application to the Arkansas State Capitol Arts and Grounds Commission. Boyd noted that her office was involved with the Ten Commandment monument only because the legislature had mandated its placement on the Capitol grounds. 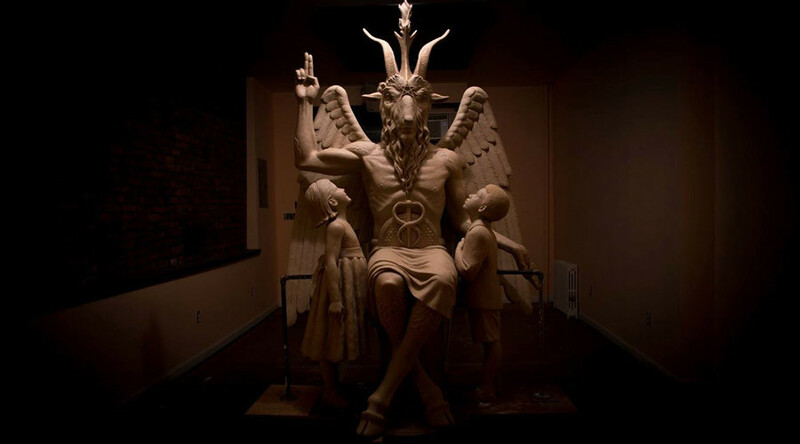 The Baphomet statue was originally planned for the Oklahoma capitol building, until that state’s Supreme Court ruled that a Ten Commandments monument there was unconstitutional, the Satanic Temple said. The controversial 9-foot bronze tribute, which weighs one ton, was unveiled to the public in Detroit, Michigan. It has been housed there since the end of July.